Manufactured By: Oliver Machinery Co. This vise was purchased by my uncle, in the late 1930s or early 1940s. He was a professional furniture maker who went off to war and didn't come back, so it was inherited by my father and now by me. It has been very lightly used and always stored inside. Considering its age, it is in superb condition with no rust - the brownish stuff in the photos is 80 year old sawdust. It is ready to use immediately without restoration or repair. The wood handle is missing. 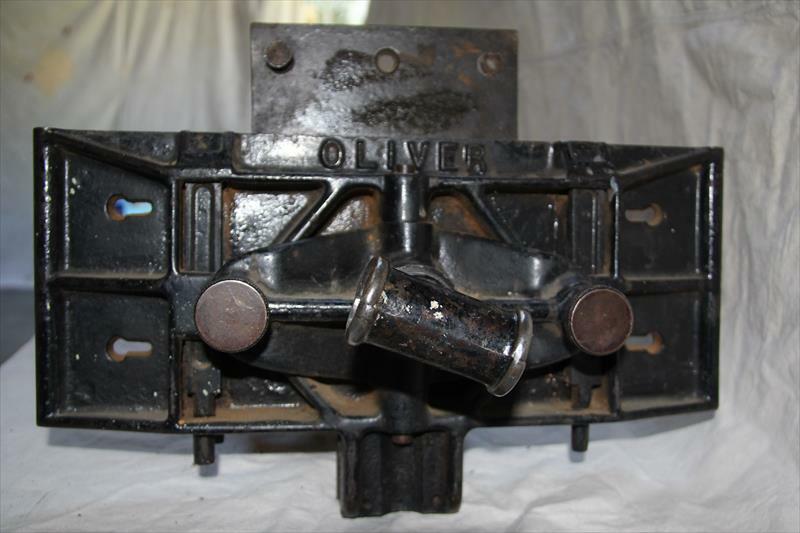 I am unable to find any recent sale price information for this vise. Thus I have listed it at $1750.00, based on an old forum thread on this site noting sale prices of $1800. In reality, please make an offer and I will seek the best offer that comes in. Shipping can be arranged if desired. Due to the size and weight, it will not be cheap. Please feel free to send questions.